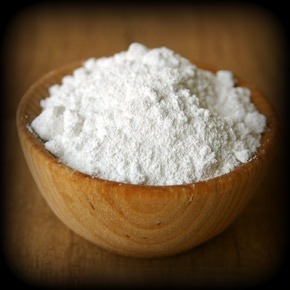 No More Shampoo… I’ve Switched To Baking Soda! Here’s something you probably didn’t want to know… I have not shampooed my hair since mid-November 2011! That’s right… I was reading about people who have decided to go “No-Poo”! Reading about many of which who seemed to be otherwise sensible people, those who leave their home and have jobs and got out in the world and must look and smell clean! I have completely dropped shampoo and conditioner. I have ALWAYS NEEDED conditioner for my hair. Without conditioner my hair naturally wavy hair was frizzed and I needed several additional products to ineffectively attempt to combat this. I originally tried this “No-Poo” idea thinking there is NO WAY this would be all that wonderful and that I would soon be back to my sweet-smelling sudsy shampoo and conditioner. Here is how I do it: instead of shampooing and conditioning I use baking soda to wash my hair and scalp… I rinse and then once or twice a week I then use apple cider vinegar as a sort of conditioner, and rinse. I find I usually do not need to use the apple cider vinegar and no… I do not smell like vinegar. I was always one of those people with thick healthy-looking hair and lately it was having such a hard time growing long and looking healthy. Since being “No-Poo”… (I would love to come up with a better term for this) my hair is unbelievably shiny, manageable, no-frizz, and it is GROWING QUICKLY AGAIN! I admit… I sometimes miss the sweet smell of shampoos and conditioners but I remind myself that I can add an essential oil, or a mixture of oils if I choose. Taking this into your styling routine… Aloe Vera gel (be sure it is pure and without alcohol… I have even ripped off a piece of my aloe plant) is an excellent hair gel, and healing instead of damaging to your hair! Traveling “No-Poo” hasn’t been a horrible problem either. I simply use silicone travel bottles (Cool Gear) to transport the baking soda (make sure the bottle is completely dry before you fill it or you may have a baking soda brick to deal with) and I pack a little travel spray bottle for the apple cider vinegar. I realize that all of this may sound “gross” to many, but I assure you it has been a wonderfully clean and healthy experience for me and my hair! It is also liberating to not have to spend $20 or more a month on my hair products… which might be enough of an incentive on its own, to go “No-Poo”. This is a surprisingly easy way to be kinder to yourself, the earth, and your budget… and at least for now, I really don’t see going back to shampoo. This works for me!